The question at the center of Uwe Boll’s story has existed since early on in his career: Is Uwe the worst filmmaker of all time? F*** YOU ALL: THE UWE BOLL Story is a documentary that explores the unique life and career of the notorious renegade filmmaker. 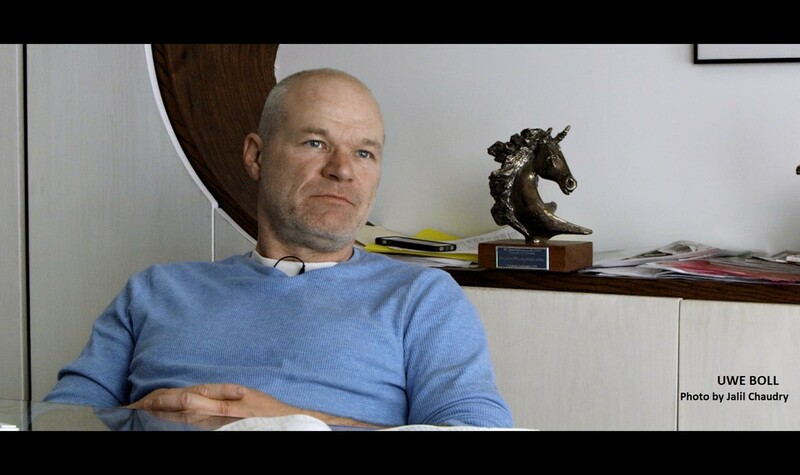 Through personal interviews with Uwe Boll himself, the people who have worked faithfully alongside him, his harshest critics and everyone in-between, this film offers an entertaining and somewhat shocking portrait of this lightning rod of the film industry. Sean Patrick Shaul is a filmmaker based in Vancouver, Canada who has a knack for telling the story of unsung figures from the entertainment world and has conducted close to a hundred documentary-style interviews over his career. Shaul has produced and directed three feature-length documentaries, OPEN YOUR MOUTH AND SAY… MR. CHI PIG (2009), ALONE UP THERE (2012), and F*** YOU ALL: THE UWE BOLL STORY (2018), the TV documentaries SILENT LEGEND: THE MACK SENNETT STORY (2016) and CATCH THE WESTBOUND TRAIN (2013), and the music documentary web series COASTAL FREQUENCIES (2014-2015). Sean has had films screen in festivals all over the world and has secured domestic and international sales and distribution. His passion for independent filmmaking and storytelling has garnered the respect of his subjects, peers and critics. "From the ashes of bad cinema rises a great behind-the-scenes story in the form of a documentary."